Save 20%!!! 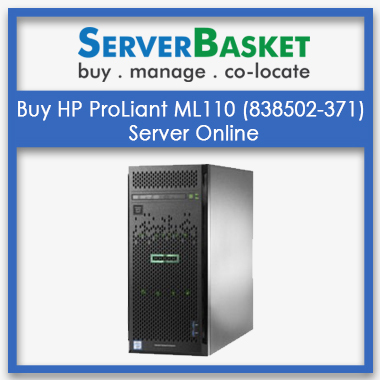 Buy HP ProLiant ML30 Server online in India at low Price with discount, we provide 3 years seller warranty and Fast Shipping service and accept Credit card, Debit Card Payment Methods. 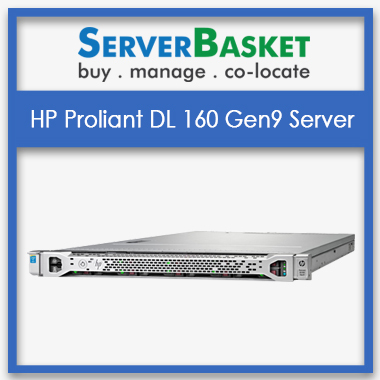 Buy hp ProLiant ml30 datasheet server at best price for better performance. 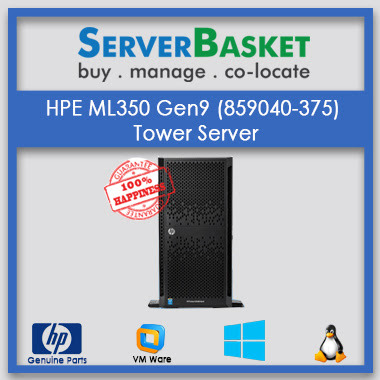 We sell hpeml30 servers online at the Cheap price compared to any other Hp server Dealers. 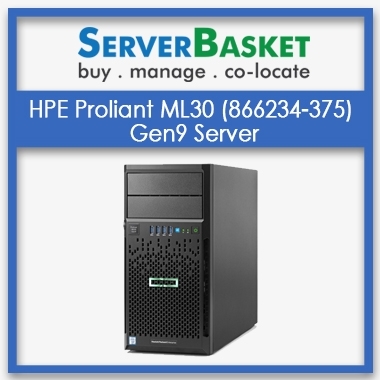 Hp Proliant Ml30 server is provided with high-level performance, high storage, memory capacity, easy to use with a low price guarantee and instant delivery of servers to our customers.We give seller warranty and discounts on all models of hp ProLiant series servers. The hp ProLiant ml30 g9 drivers server supports one Intel-Xenon E3- 1200-v5 processor , where the speed of the processor is around 3.5 GHz. 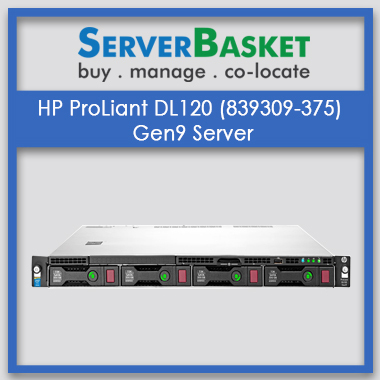 This Proliant HP ML 30 server has controllers like RAID 5, RAID 10 RAID 1 RAID O, Dynamic Smart Array B140i controller for boot and data , data availability with reliable high-performance SAS connectivity capable of running HBA mode or simple RAID mode. An overall memory of 8 GB is supported by the HP ml30 server and this hp ml30 ProLiant server support 2133Mhz DDR4 memory and the data which is transferred by these servers are faster and secure as the Integrated Light-Out Technology (iLO 4) is used. 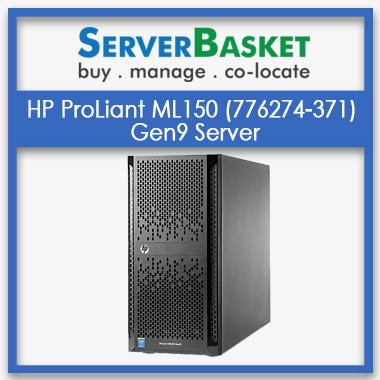 Efficiency and expandable hp ProLiant ml30 gen9 manual server with highest scalable features. HP ProLiant ML30 tower server ensures expanding memory at different levels from 8GB to 64GB . hp ProLiant ml30 server has storage extends up to 32 TB. These scalability options are increasing the performance of HP ml30 servers. As per datasheet, this HP ProLiant ML30 gen9 server offers DIMM Slots with support for up to 64GB of HPE DDR smart Memory helping to prevent data loss potentially , it is the essential aspect when it comes to the selection of the server, not only UDIMMs but it also has 4 DIMM memory slots. This hp ProLiant ml30 g9 drivers server has also got HPE Dynamic Smart Array memory. A seller warranty period of three years is being provided which includes one year guarantee on parts, labor warranty for one more year and the last year for support. Support for the initial and software support is available for 90 days from the date of purchase. The storage capability of HP ProLiant ML30 (830893-371) G9 tower server is far-fetched with HPE Dynamic Smart Array BI40i. It has LFF non ship standard, non hot plug, This ProLiant HP ML30 gen9 server support up to 4 large form factor(LFF) or 8 small form factor(SFF) disk drive. 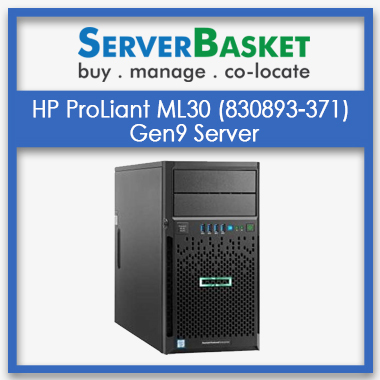 This HP proliant ML30 (830893-371) g9 tower server supports up to 32 TB of storge. If you buy the hp ml10 raid driver server from here, you will get immediate delivery offer i.e., for the local clients of Hyderabad city, we provide with same day delivery and for other metropolitan cities such as Pune, Delhi, Mumbai, Banglore we deliver the server in a maximum of 3 to 4 working days without fail. We guarantee that you get the selected servers at the lowest best price compared to any other HP Server Dealers in India. The Best Price Guarantee covers all the booking, installation and delivery charges. We do not charge any extra prices for shipping. HP ML30 (830893-371) Gen9 server is 4U Tower or Rack server. What is the default processor available for this ML30 server? In HP ML30 server Intel Xeon E3-1220 v5 is the default processor is available for this server. How much storage does this HP Proliant ML30 server supports? How much memory does this HP ML30 server capable? HP Gen9 ML30 server capable upto 64 GB memory with 4 DIMMs slots are present in server. Which type of chipset is used in this Proliant ML30 Gen9 (830893-371) server? For this ML30 proliant server Intel C236 server chipset is present to this server. What are the memory protections available in ML30 Hp server? HP ML30 server has Advanced ECC for memory protection . Does this Proliant ML30 server support for Linux Operating System? Yes, surely ML30 (830893-371) server supports any Microsoft Windows Server, Canonical Ubuntu, Red Hat Enterprise Linux (RHEL), SUSE Linux Enterprise Server (SLES), VMware, Citrix Xen Server etc,. operating system for Proliant server. Does HP Proliant Gen9 ML30 server supports Graphic card? Yes, ML30 Gen9 server supports graphic card. It having Integrated Matrox G200 video standard with 32 bit color of 1280 x 1024 and 16 bit color for 1920 x 1200 and HPE iLO 4 On System Management Memory with 16 MB flash, 256 MB DDR 3 with ECC (112 MB after ECC and video). Does HP Proliant ML30 Gen9 server having security? Then what are security provided to ML30 server? Yes, surely for ML30 server high security is provided such as Power-on password, Setup password, Serial interface control, Power switch security, Administrator’s password, TPM 1.2, UEFI etc,. are security for this server. Which network controller does Proliant HP ML350 Gen9 server manage? HP Embedded 1Gb Ethernet 2-port NC332i Adapter are the network controller for Proliant ML30 Gen9 server. Upto how many PCIe slots supports to ML30 (830893-371) Gen9 server? For HP Proliant server 4 PCIe with 3.0 slots are available. How much power does this ML30 HP Server consume? This ML30 HP (830893-371) server comes with HPE 350W ATX-Gen9 Power Supply FIO Kit and HPE 460W Redundant Power Supply consumed by this server.